"Quality Service at a Fair Price"
By documenting several tree qualities, we are able to report on the condition, issues, damage, and causes of problematic trees; then we can recommend action for any or all of your trees . Don’t try to take down a tree all on your own. 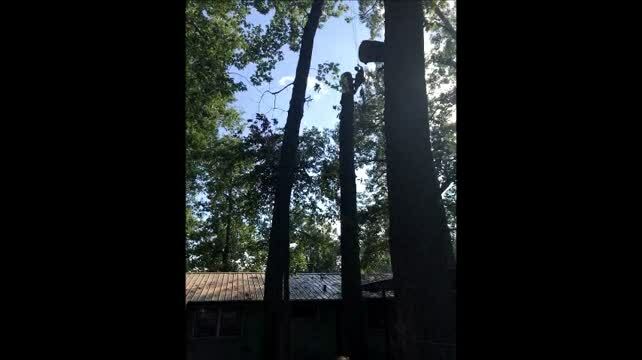 Tree removal is a dangerous process that requires experience and proper equipment. It’s always sad to see a tree cut down, but there are many possible reasons why a tree may need to be removed, and understanding when it is necessary to cut a tree down is imperative. Tree removal is a serious situation with many variables and many necessary precautions. This is where equipment and hiring a trained tree-service professional is essential. When a tree simply cannot be cut at the base and dropped due to obstructions, it must be “pieced apart” with great skill and care. Whenever possible, we utilize heavy equipment during jobs to eliminate potential dangers and time constraints to the property owners and our team. Thank you for visiting us online!